The video light and light stand showed in the pictures are not included. Portable and lightweight diffuser kit, simple structure, easy installation. 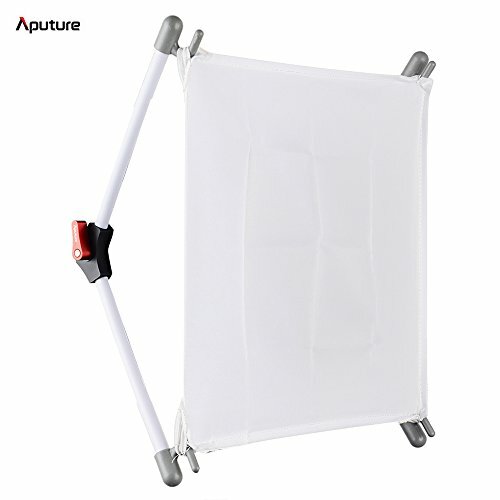 29*26cm diffuser cloth, provides 1.5 times larger light diffusion area. Reducing harsh shadow and diffusing more soft light for your shooting. No influence to the heat dissipation of the video light. The metal adapter with 1/4" screw and strong brackets increase the stability greatly.